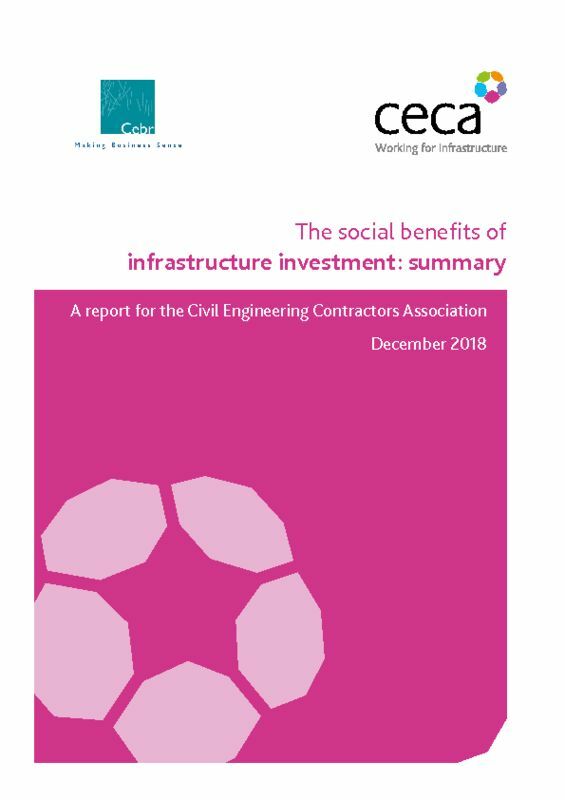 The social benefits of infrastructure investment is a major new piece of research undertaken on behalf of CECA by economic consultants Cebr. Here you can read a summary of the report and its recommendations. The social benefits of infrastructure investment is a major new report, written by the Centre for Economics and Business Research (Cebr) on behalf of CECA, which focusses on the significance of infrastructure investment for communities and businesses across the UK. Frameworks are a good way of organising and delivering civil engineering projects. Yet, while some work well – providing the opportunity for civil engineering contractors to deliver work efficiently – at times they do not work effectively at all. Our research identified a series of key principles for effective frameworks to guide those procuring and managing them to ensure excellent delivery on the ground. 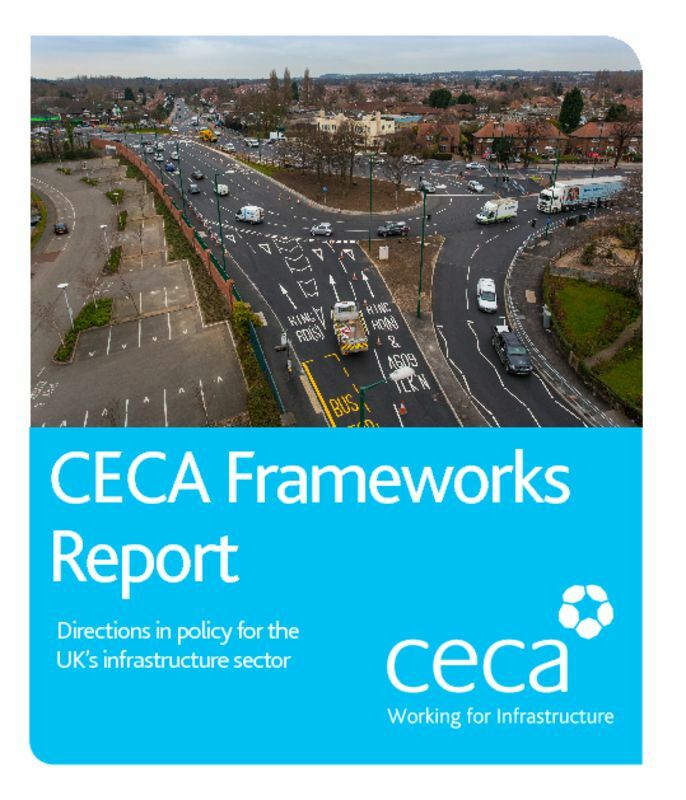 In order to start the drive forward towards best practice, we worked with our members and others in industry to develop a series of recommendations for our infrastructure clients. 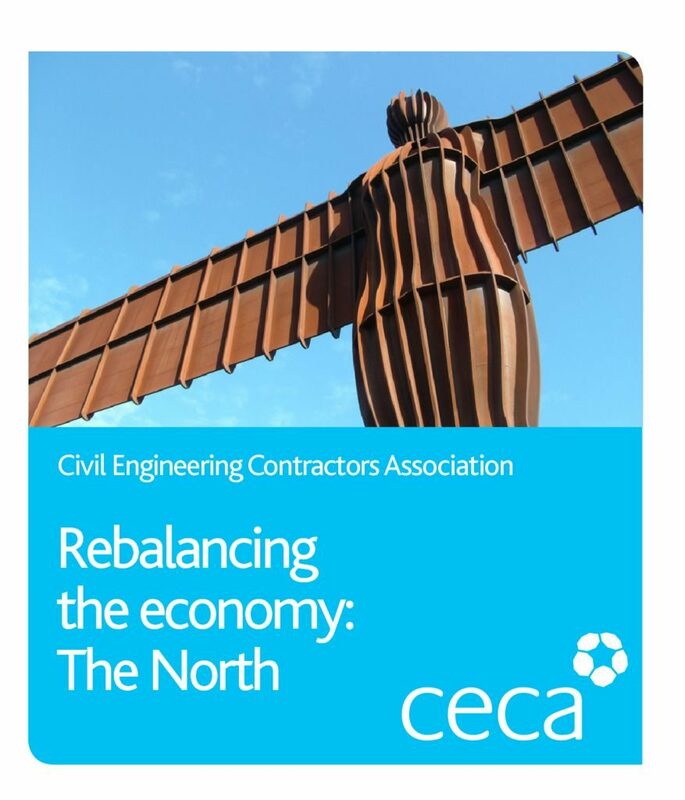 Rebalancing the economy: The North sets out recommendations we believe Government must follow if it is to tackle the poor transport infrastructure, inadequate digital connectivity, and skills shortages, that are shackling the potential economic power of the North of England. 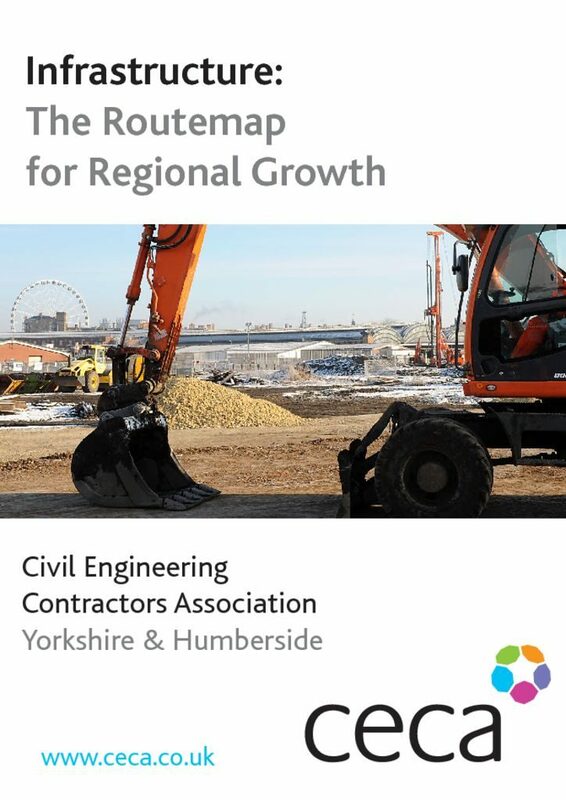 The report focuses first on a series of cross-northern policy recommendations, before addressing region-specific challenges in Yorkshire and the Humber, the North West, and the North East. 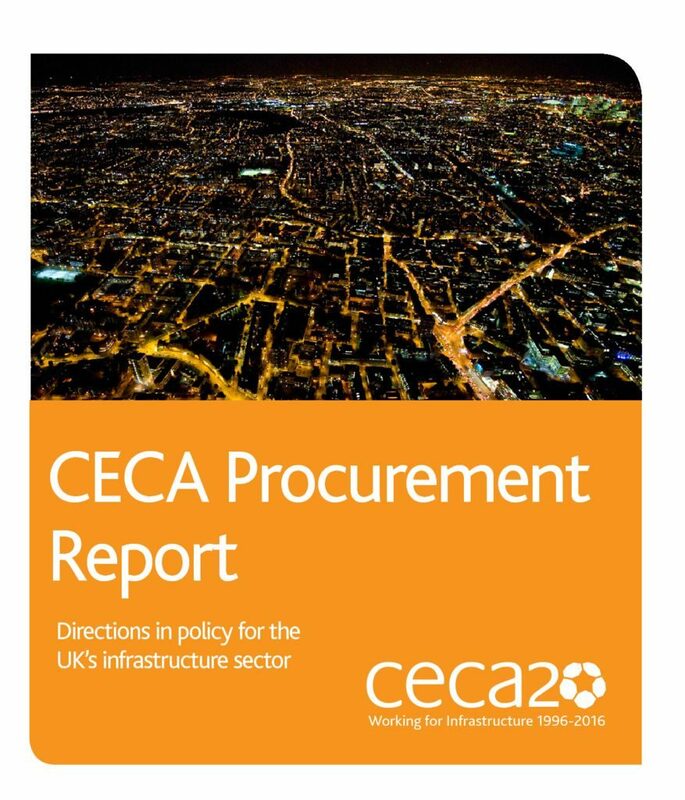 CECA worked with its members to identify the eight most challenging elements of the procurement process and has proposed a series of solutions to address the challenges faced.better infrastructure. 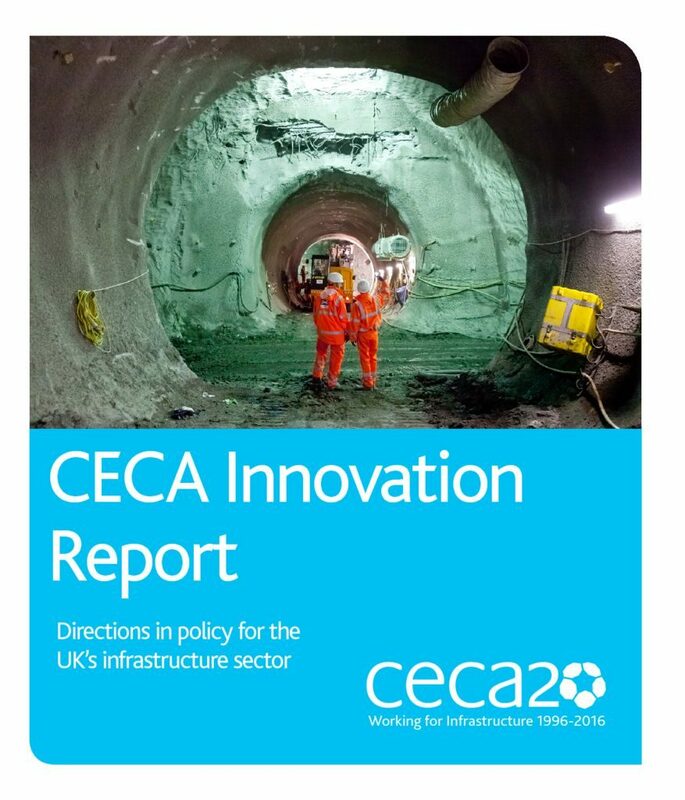 CECA believes that civil engineering contractors must develop a clear business case, which is underpinned by client and Government support, for investment in innovation. To this end, our Innovation Group proposed the publication of a report highlighting what must be done collectively to ensure that opportunities arising from innovation are fully grasped by clients and their supply chains. The next 10 years represent a crucial time for the UK’s infrastructure. Get it right and we could see our roads, rails and utilities acting as a springboard for a resurgent economy. But failure could see the country failing to perform at the level of our global competitors. 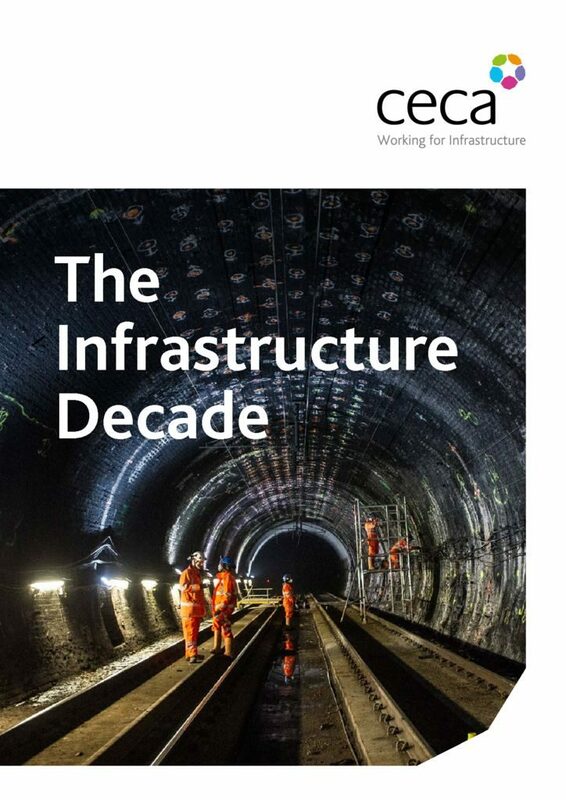 Our aim in this document is to identify the key policies that will help deliver the best possible outcome in this ‘Infrastructure Decade’ to come. 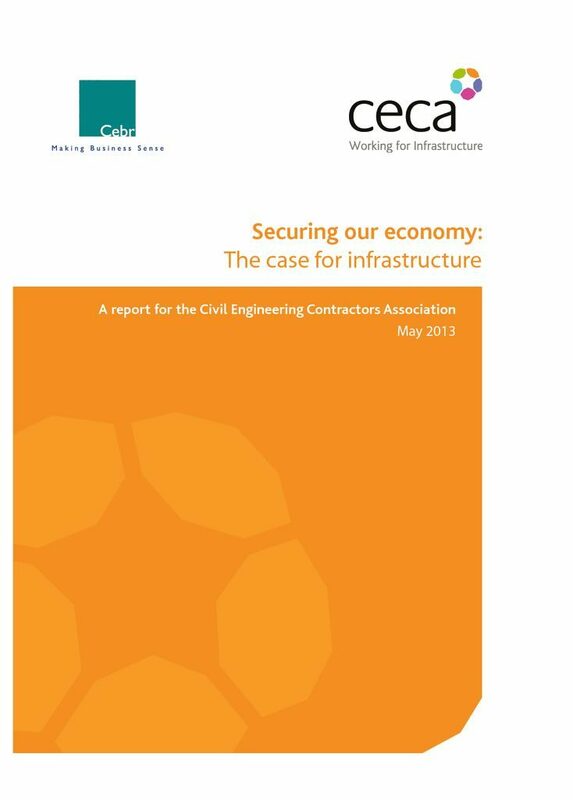 This Cebr report, written on behalf of the Civil Engineering Contractors Association, analyses the role that infrastructure investment plays in supporting the UK economy. Our findings show that investment in the UK’s transport and utility networks can significantly boost the economy and create jobs. 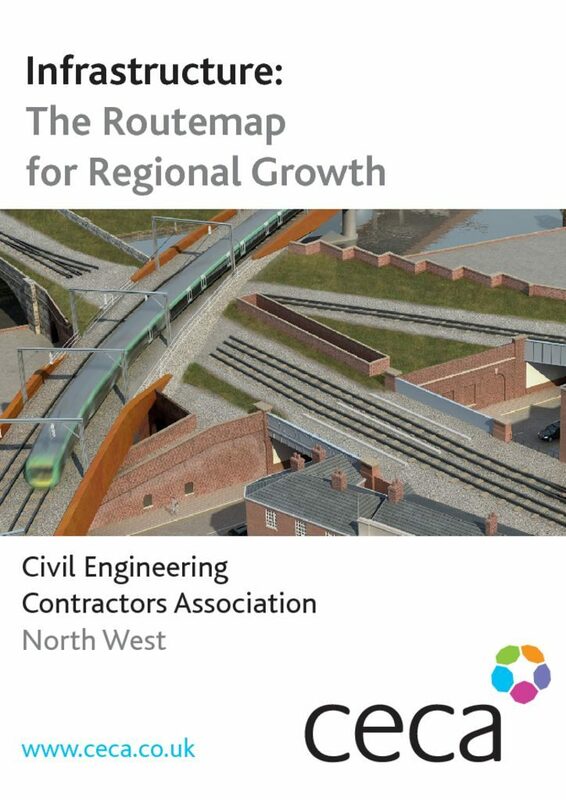 A regional version of the national routemap publication.